A guardian is an agency or person legally appointed to manage the affairs of an individual who lacks the capacity to make responsible decisions concerning his or her personal matters. The primary requirement for determining the need for a guardian focuses on the individual’s inability to make and communicate reasonable decisions. Eccentric behavior, disabilities and diagnosis alone generally do not warrant the appointment of a guardian. State laws vary regarding the specific details governing the definition of incapacitated persons as well as the scope of responsibilities a guardian might be given. 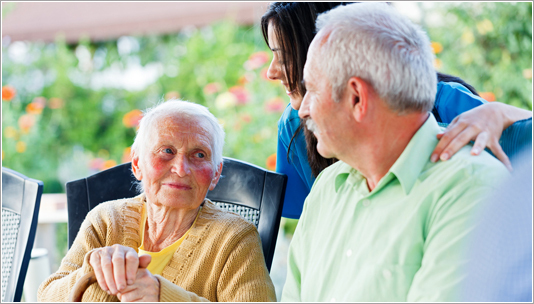 "Guardianship or Conservatorship is the legal tool of last resort for decision-making and management of your affairs. Generally a guardianship involves the court appointment of someone to act as guardian to manage the property and/or personal affairs of an incapacitated person (commonly referred to as the ward). Conservatorship typically involves management of just one's assets without control over the person." A form of limited guardianship is commonly used in most states. Under it, a court limits the guardian's authority and tailors it to the specific incapacities and needs of the ward. Limited guardianship offers a more finely tuned and less restrictive approach to guardianship. If someone is appointed to act as a guardian, but the incapacitated ward already has an agent under a durable power of attorney or advance directive, the court will normally determine whether the agent's authority shall continue. When Might an Aging Senior Need a Guardian? The following statement made by the ABA describes when someone would likely need a guardian. When do individuals normally need a guardian? Serious harm will come to the individual if no legally authorized decision maker is appointed. Guardianship is a major intrusion into one's life and should be used only where there is a serious inability to make or understand the consequences of decisions. "A decision to seek guardianship should never be based on stereotypical notions of old age or handicaps. A person has the right to make foolish or risky decisions. These decisions by themselves do not mean that the person lacks capacity. A competent person chooses to run risks. An incompetent person runs risks not by choice, but by happenstance. Bills, taxes, assets, and the estate are managed responsibly. How is Guardianship Set Up? Anyone interested in the aging senior's well-being can request guardianship. Since guardianship involves a significant loss of freedom and dignity, laws require guardianship be imposed only when other alternatives have been proven to be ineffective. Guardianship requires an attorney (preferably an elder law attorney who understands guardianship and conservatorship), formal legal paperwork, and a court hearing. Evidence must demonstrate the individual is incapacitated according to the law and that guardianship is appropriate. Furthermore, the evidence must demonstrate the individual who will act as guardian is qualified and the authority granted to him or her is necessary for the safety of the aging senior. All outside family members will likely be notified and given the opportunity to support or contest to the proposed guardian and guardianship. Furthermore, due process requires the incapacitated person be given a chance to contest or consent to the guardianship if her or she can and wishes to. BOOK: "How to Protect Your Family's Assets from Devastating Nursing Home Costs: Medicaid Secrets"
This book, written by attorney Gabriel Heiser in 2017, is a financial and legal guide to the ins and outs of the only government program that will pay for the long term nursing home care of your family member: MEDICAID.